Created in 2009 by 36 African Ambassadors to the United Nations in New York City, the fundamental objective of Allied African Nations Chamber of Commerce (AANCC) is to bring together American business leaders and professionals to provide them with important economic development information based upon reliable statistical data on Africa. The intent is to promote the potential of mutual economic opportunities in areas such as industry, trade, food, art, tourism, investment, and to also undertake potential development projects with the Chambers of Commerce, members of AANCC abroad in African. The aim is to encourage and motivate the American business community to invest in the areas of their choice in accordance with priority needs made by African Nations and to establish itself as one of the principal advocacy groups in support of doing business between the African Nations, the world and the United States. 1) STRATEGIZE - Prepare and develop a strategy for business promotion of African nationals based in New York and throughout the United States; To actively work in conjunction with our Developing Nations Diplomatic Corps in the U.S. Ex: Consul Generals, Ambassadors, Ministers, Commercial Counselors. 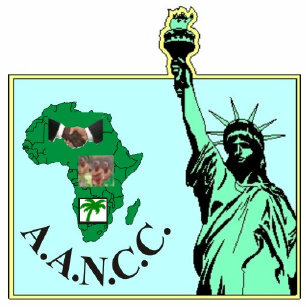 6) IMPORT/EXPORT - To assist in facilitating import / export opportunities for members in the U.S. in conjunction with the African country members of AANCC. BURUNDI, ETHIOPIA, KENYA, RWANDA and UGANDA. Antigua and Barbuda, Bahamas, Barbados, Dominica, Grenada, Guyana, Haiti, Jamaica, Montserrat, St. Kitts & Nevis, St. Lucia, St. Vincent & The Grenadines and Trinidad and Tobago.